How Do You Get Started With RPA? You have heard the hype. And you see the opportunities. So now it’s time to get going. You’ve got loads of questions. And you need to tap in to some expertise. 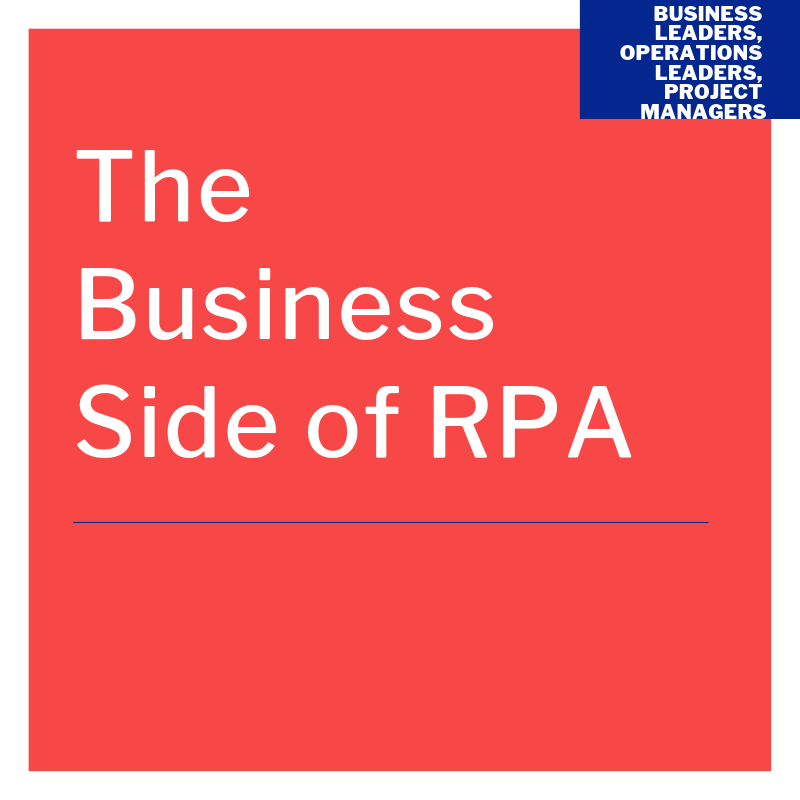 Have a look at The Business Side of RPA. Live online classes for $349 per month (no commitment). Want To Train Your Team On RPA? You are looking to embed RPA in your organisation. Or you want to sell RPA to your clients.